This entry was posted in General Information on November 15, 2013 by webmaster. This entry was posted in Uncategorized on October 5, 2013 by webmaster. This entry was posted in General Information on August 14, 2013 by webmaster. This entry was posted in General Information on July 15, 2013 by webmaster. Success stories: We’re releasing the Painted Turtle today and we also released the Mourning Dove that came to us as a hatchling. Tomorrow we will release the Ducks and Bank Swallows … more successfully rehabilitated animals! Diggers’ Den Coming to WRR! This entry was posted in Uncategorized on July 13, 2013 by webmaster. 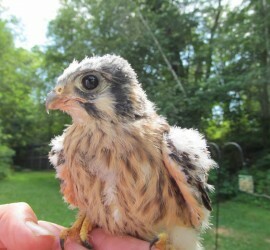 Welcome to the Wildlife Rehabilitation and Release web site! This entry was posted in General Information on July 5, 2013 by webmaster. Welcome to Wildlife Rehabilitation and Release! Watch our blog for the latest information about the types of animals we’re currently rehabilitating and the ongoing needs of our facility!